Our Greek DVDs are now available for purchase. I’m totally stoked. Sweet tasktick! 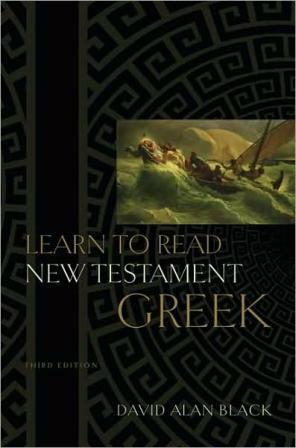 The course is based on my beginning grammar, Learn to Read New Testament Greek, which is highly suitable for self-study. Any edition of our grammar may be used with the DVDs. You can purchase the book from any online store, including Amazon and Barnes and Noble. The DVDs were recorded before an audience that was ALIVE! 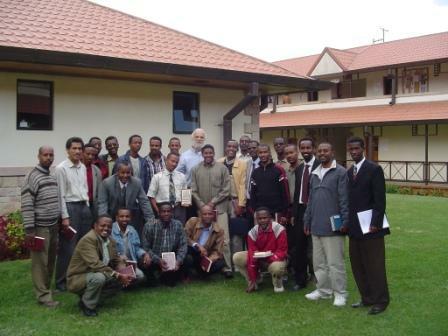 Come with us to the Evangelical Theological College in Addis Ababa, Ethiopia, and join our class as I teach through our grammar chapter by chapter in English! The DVDs are in PAL format, which is widely used overseas. We chose this format because of our desire to make Greek instruction available in the Two Thirds World. PAL format is readable on any computer that has the capacity to play DVDs. In your order we will include a free pronunciation CD in which I read the Greek of the first several chapters aloud so that you can attune your ear to the language. No foreign language knowledge is assumed or required to take this course. I teach Greek “from scratch” and explain concepts simply and with generous illustrations from English. Man do I love Greek! I pray that you may learn to love it too. I really like the idea of a bunch of people coming into contact with the original language of the New Testament because of this course. May these DVDs bless you, edify the church, bring glory and praise to Jesus, and advance His kingdom cause worldwide! To order your set of DVDs, go to our DVD Order Form. U.S. and Canada only (no international orders).